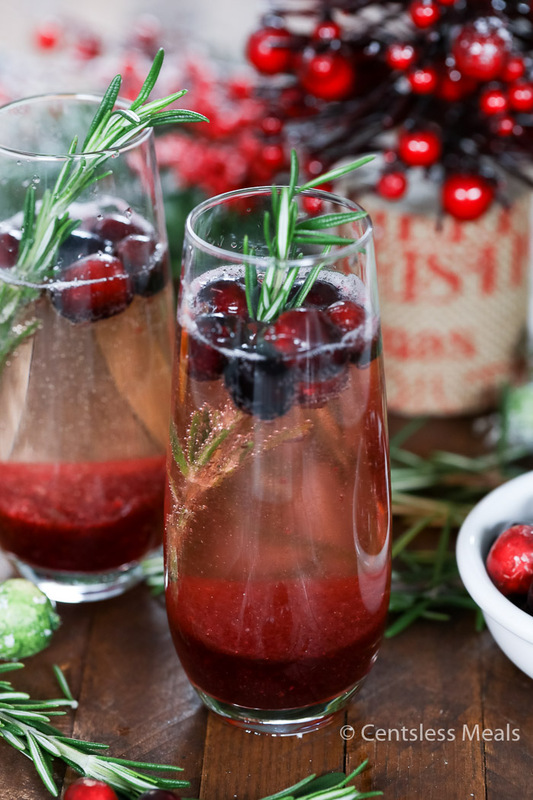 If you are looking for a fun, festive and delicious cocktail to serve for brunch this holiday season, you’ll love this Cranberry Mimosa recipe! 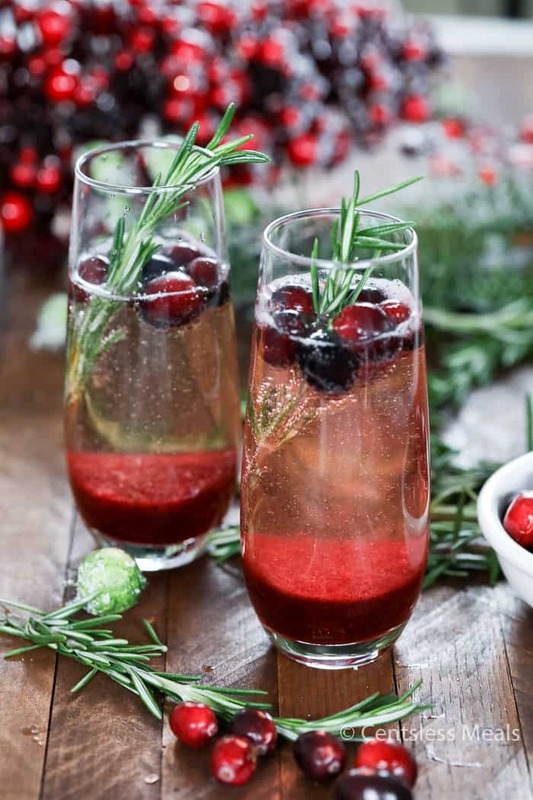 Fresh cranberry puree is mixed with your favorite bubbly and garnished with fresh cranberries and a sprig of rosemary. 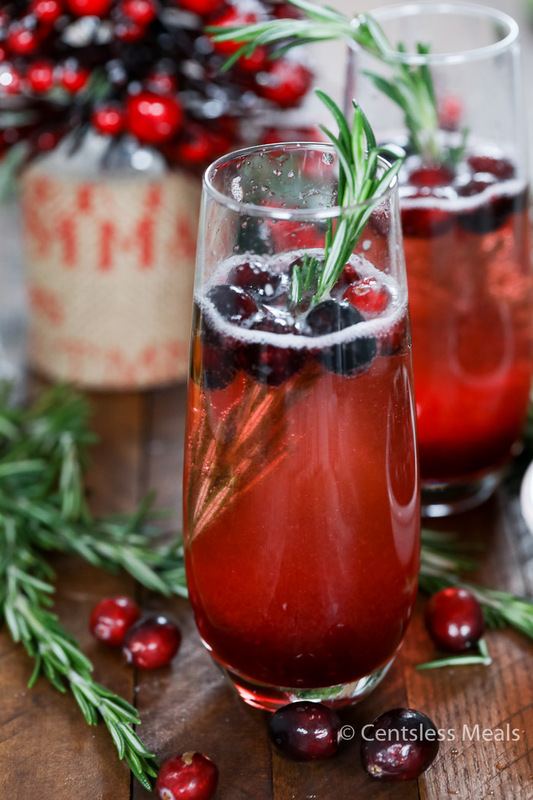 This jubilant drink is not only delicious, it’s the perfect accent to your holiday table. 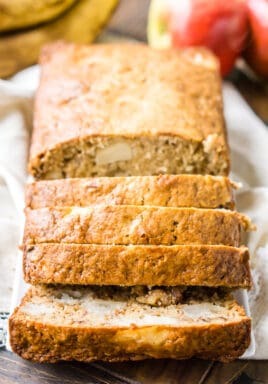 Pin it to your COCKTAILS BOARD to SAVE it for later! This Cranberry Mimosa is a festive spin on a traditional citrus kissed version. I have used fresh cranberry puree (with a hint of orange flavor) in place of the traditional orange juice! Once made, the cranberries are pressed through a mesh strainer to create a delicious sweet/tart puree! We then top with our favorite sweet bubbly (or even gingerale for a cranberry mocktail). 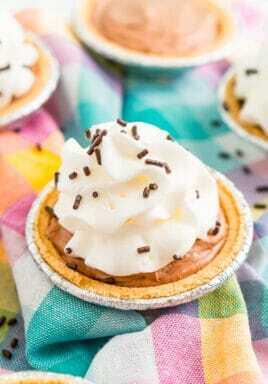 It is really so easy and perfectly festive for this holiday season! What is a mimosa and where did the name originate? According to A History of Drinking, the name mimosa comes from the Mimosa flower, found on an Australian shrub. A mimosa is a cocktail usually served in a tall champagne flute, with a ratio consisting of 1 part orange juice to 2 parts champagne. The original recipe called for 1 teaspoon Grand Marnier, however the modern versions omit this. How do I make a Cranberry Mimosa? This recipe starts with a simple homemade cranberry sauce which is then pressed through a sieve or mesh colander to extract all the sweet and tart goodness of the cranberries, without using all the pulp. If you are planning to make your own cranberry sauce to serve with Christmas dinner, then you are already on your way. If homemade cranberry sauce is not your thing, no worries – the canned whole berry version will in this recipe as well (of course the fresh tastes best though). Choose beautiful champagne flutes and add a bit of cranberry puree and if desired, a splash of orange juice. 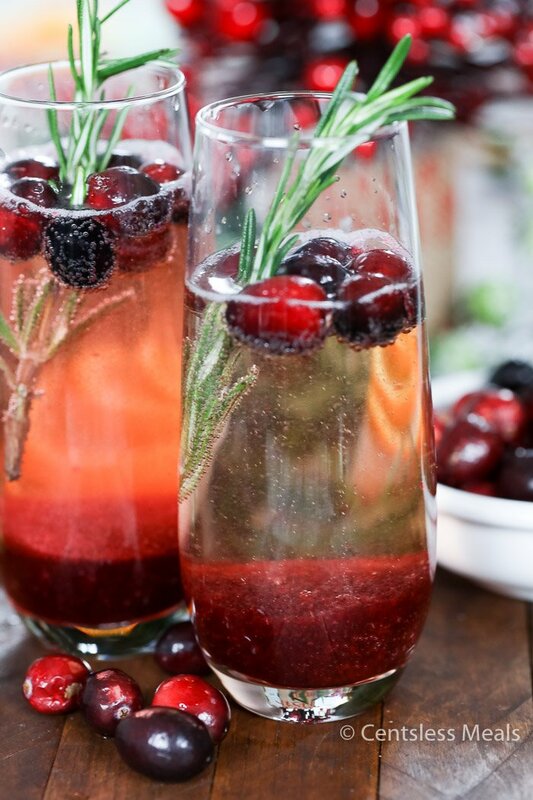 Adding a few fresh cranberries and finally add a sprig of fresh rosemary makes it festive and so pretty! If you do not have fresh rosemary, a piece of mint for some green or even a slice of orange hinging on the side of the flute is a great garnish as well. Can I make a pitcher of mimosa? Yes, of course! You will want to stir the cocktail well and then pour into champagne flutes. The result will be more homogeneous, however the cranberry puree will settle out upon standing for a while. This would be a great idea if you are serving a larger crowd. Make sure to adjust the amounts to accommodate the number of mimosas you will need. Mimosa is traditionally served with brunch or after morning wedding receptions, however you can always serve this as a dinner cocktail. Any time of the day, this jubilant libation is perfect! Can I make a non-alcoholic version of a mimosa? If champagne is not your favorite or if you want a non alcoholic version for the young people at your table, you can always use carbonated beverages such as ginger ale or club soda depending on how sweet you want it. No matter what liquid you choose to use, the bubbles will definitely tickle your nose and both young and old will be delighted with this jolly drink! 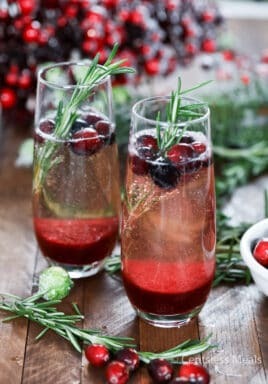 If you are looking for a fun, festive and delicious cocktail to serve for brunch this holiday season, choose this Cranberry Mimosa recipe! 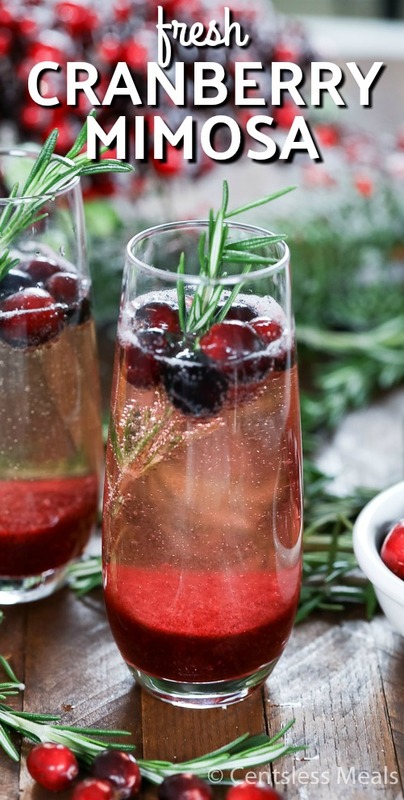 Cranberry puree mixed with champagne and garnished with fresh cranberries and a sprig of rosemary create a jubilant drink to accent your holiday table. 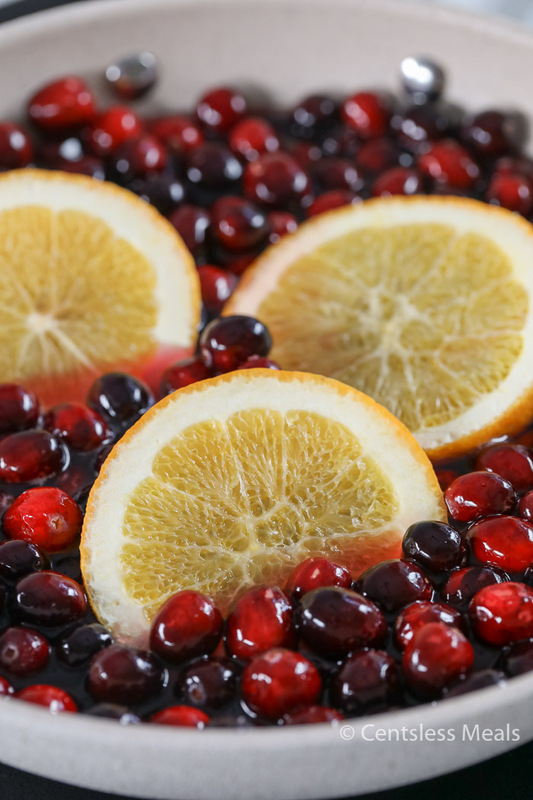 Combine juice, sugar, oranges and cranberries in a saucepan. Remove from heat and press cranberries through a fine sieve or strainer discarding the skins/pulp. Cool completely. Place 2-3 tablespoons of cranberry syrup in a champagne flute. Top with bubbly and garnish as desired. I hope you will enjoy this joyful drink this holiday season. From my home to yours, Happy Holidays!